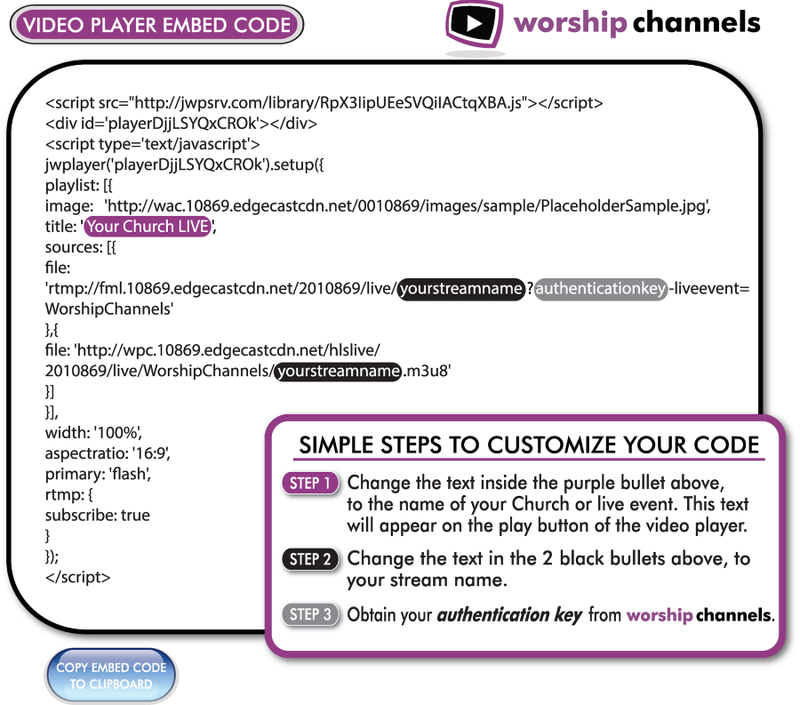 To get started, you will use the same video player embed code (examples below) for the Web Default, Offline and Mobile Default on your Church Online Platform. 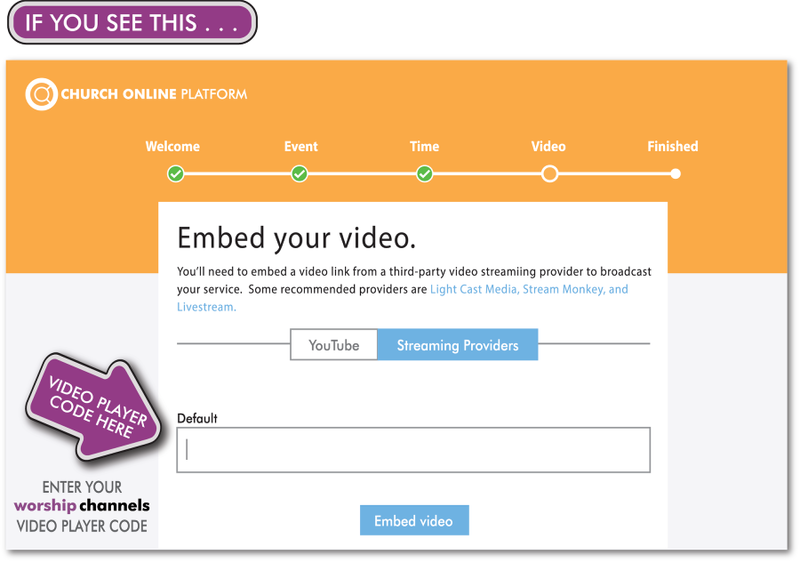 See where to enter the video player embed in the pictures below. 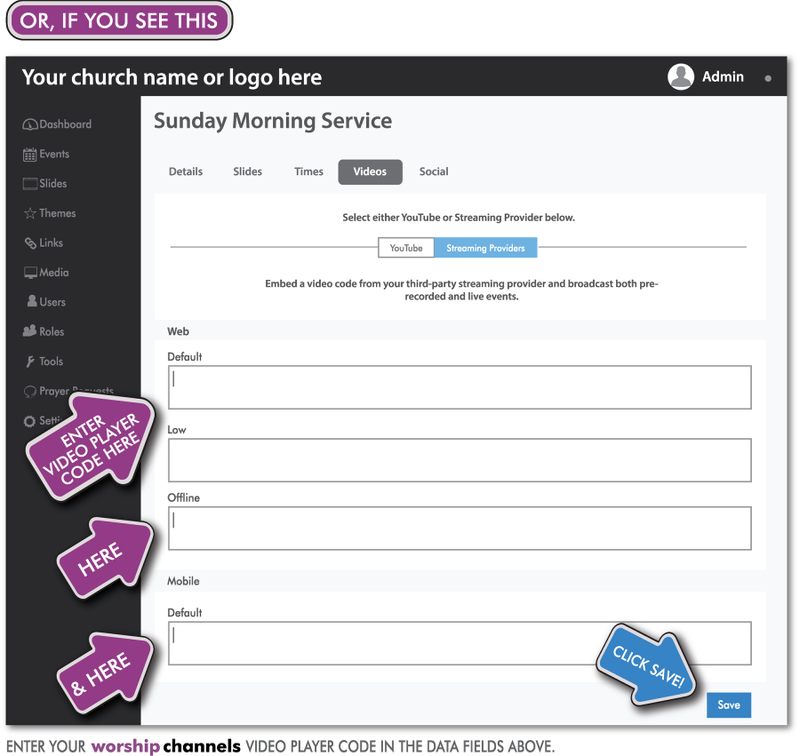 Obtain your authentication key by phone or email.